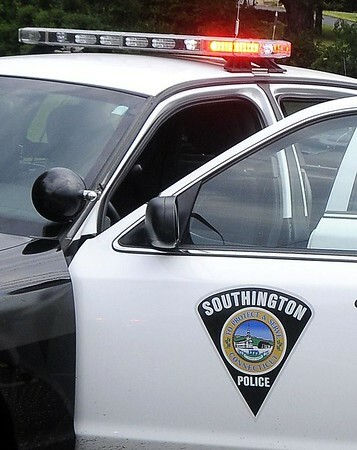 SOUTHINGTON - Police are investigating an armed robbery at a gas station Tuesday night. Police said the male suspect, armed with a knife, entered the Henny Penny gas station, at 273 Meriden-Waterbury Turnpike, at about 11:54 p.m., and demanded that the clerk open the register. The clerk complied and the suspect took $150 and stole about $50 worth of cigarettes, according to police. The suspect took off on foot, and no injuries were reported. He has been described as white, in his 30s, standing about 5 foot, 10 inches tall, with a husky build. He was wearing a blue, hooded sweatshirt, khaki shorts and a bandana over his face. Police said investigators are working to get video surveillance footage of the incident. Anyone with information has been asked to contact the police department’s detective division at 860-378-1600, ext. 5. Posted in New Britain Herald, Southington Herald on Wednesday, 5 September 2018 10:32. Updated: Wednesday, 5 September 2018 10:34.